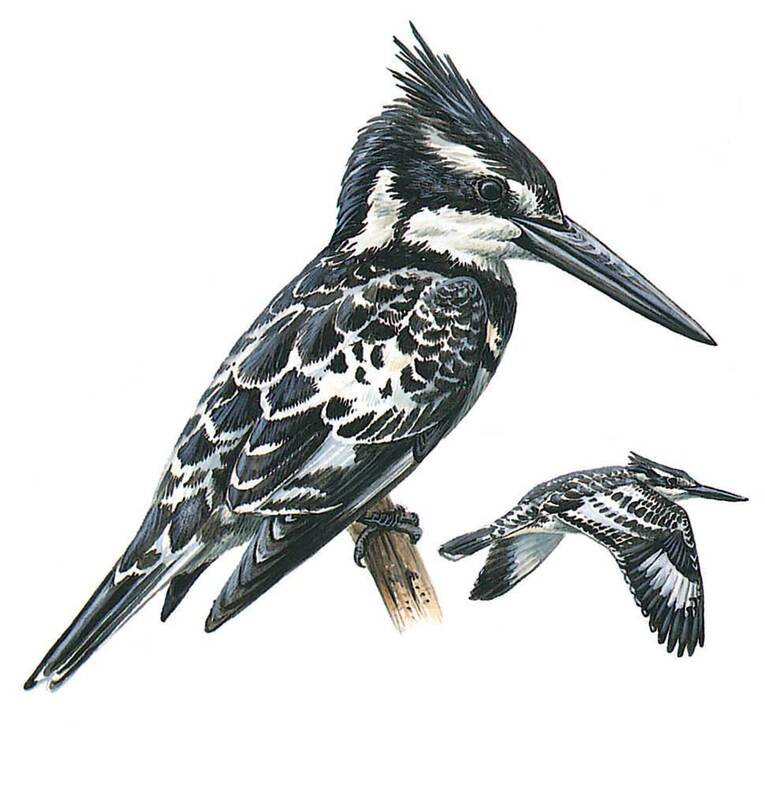 Large and unmistakable, the only black and white kingfisher, frequently seen hovering well above water before plunging for fish. White underparts have two more or less complete black breast bands in male and one in female. Black eye-mask, white supercilium, blackish top of head with short crest at nape; white tail has black band at tip and blackish central feathers. Juvenile has greyish breast band. Also fishes from perch.